Hello The park has been closed for several years now, it is still listed as open. Hope all is well, I love this sight and still visit, even after leaving Michigan. Regards, Erik Callaway. All the information about Deer Acres opening again, I DO Not see that happening It has been closed for @ least 5 years or more. don't get me wrong they have Car Shows and movie nights there but none of the attractions are up to date and It was a beautiful place to go to with young children so they car learn there nursery rhymes. I will believe it when I see it when families can come back and make memories. Beautiful place gone to waste. The car show did happen this year and I talked to owner and he is still working on it but is coming along slowly but has done a lot of work but still a lot to be done. I have faith it will be open in a year or two. Deer Acres is still closed and on the sign it said they are still remodeling but that has been on the sign for 2 years now. I see it everyday I only live 2 miles away and I drive by it everyday to work. sorry they have not opened up at all yet and they never post on there Facebook page no car show this year either. When I was a pre teen my parents and sibling along with myself stopped here - then when my sons were small we took them here. My oldest granddaughter is now 13 and we not only took her every year sometimes more than once a year with friends of hers, now she has 2 1/2 yr old twin bro and sis and we are planning on bringing them. Do you still have live animals as I was informed there aren't any anymore?. How wonderful that this old-fashioned-family-outing park is still in operation! I remember a birthday trip there in (I think) 1963 - yes, I'm ancient. It had some animals and the storybook scenes even then, but no rides. It was really a picnic park rather than an amusement park. 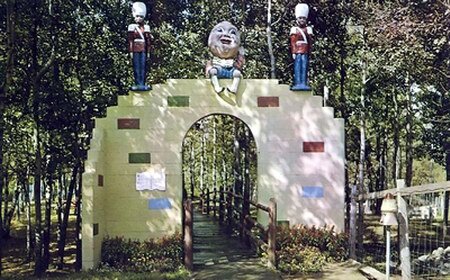 And we often drove past it on trips from West Branch to Bay City - my siblings and I were always excited to see that long crenellated wall and the big Deer Acres sign. May it live forever!. I want to take my kids there this weekend and I am calling and there is no answer I read on another site that they are reopening May 30th which is tomorrow you would think they would have an answering machine or something Tracy from Oscoda. 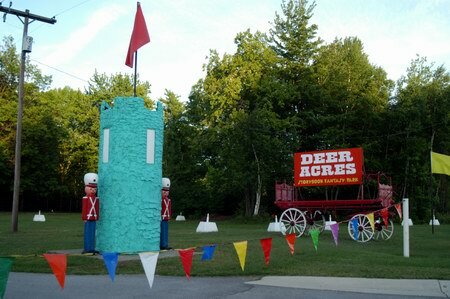 They will be reopening in spring of 2012. they have a new web site deeracresfunpark. com they did have an event in august this year so it looks promising. I agree with Derias, My daughter loves it there and we would sure hate to miss this park again this year too. Would love to know when you are opening. Thank you. God Bless Andrea. Is there any new news on the park? I was really hoping to come this summer. Please keep us posted on the progress. I wouldn't want my son to miss out on such a cool park. Kids are finally old enough to go this year. I had no idea of the unfortunate circumstances the park has been facing. I would love to bring the family out this summer if all goes well on Deer Acres end. how do i keep in touch for updates?. Does anyone have any idea what changes/improvements will be made to the park? Last time I was there, it was geared towards younger children. Will that still be the case? More of an amusement park or petting zoo? Thanks for any insight. Regarding Deer Acres. We will assuredly have a couple of events in 2011. Sadly we did not finalize purchase in time to have the annual Car Show this year. We are reviewing possible dates for the CAR SHOW in 2011. There is discussion for a possible art/ antique show also. STAY TUNED! Thanks Rick for comments or to reach the new owners email deeracresfunpark@hotmail. com. Renovations have been started at Deer Acres!!!! Currently it has been mostly maintenance issues such as new roofing on existing buildings and preparation for some necessary updates. Exact opening / Re opening dates will be announced as soon as possible. It may take until spring of 2012 depending on progress early next year. We will update as we move forward! Rick. We drove by the park about a week or so ago while vacationing in the area. They have a sign up that reads the park will be opening June 2011. I recently purchased some gift certificates from channel 25 to Deer Acres that expire December of 2010. We were planning a family vacation to that area in August and were planning on coming to Deer Acres. In reading that the park is closed, will you be able to honor the gift certificates next year when you are open?. The last poster was absolutely correct. There are negotiations underway and the park will be open for sure in SPRING of 2011!!!! It would be very difficult to get all pre-opening maintainance and any planned improvements done to open for this summer (2010). There is a chance that it may be ready for some type of Fall/ Halloween program and possibly the car show this year. Right now a lot of ideas are being discussed but REST ASSURED. every effort willl be made to make it all that we remember and enjoyed from years past and hopefully more. THE ANIMALS WILL BE THERE TOO!!!!!!!. this link was posted today (June 18th, 2010). The link is below, but here is a quick excerpt from the article:We won''t be open this year, but I''m sure it will be next year, said Cederberg, who found himself as the park''s owner again after selling the business on a land contract and getting it back when the deal fell apart. We''re doing the paperwork and hopefully we''ll have a new buyer sometime soon. Read the whole article here;http://www. mlive. I WOULD LIKE TO KNOW ANY INFORMATION ON DEER ACRES IF IT IS GOING TO OPEN THIS YEAR? thanks. mary. Bob-I REALLY appreciate your update, as we were tenatively planning a trip to ''Deer Acres'' at the end of the month. You saved us a LOT of fuel costs & disappointment for the kids; much obliged. I don''t know where the last poster found his information, but it''s totally in correct. The park has never had a connection with anyone from Texas! 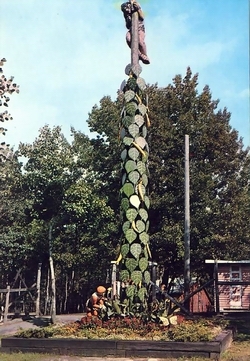 The Cedarberg familybuilt Deer Acres in 1959 and owned it until last year, when a family from the Chicago area purchased the park. These folks didn''t make it and lost the park back to Roger Cedarberg last fall. 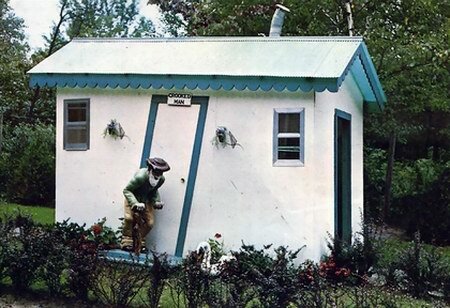 He has since sold it again to a Bay City businessman. They''re trying to get everything together to close on the sale, but until they do, no one is sure if the park will get open this year. If it does, it will be a short season as the new buyer has big plans to change the park, which requires time when the park isn''t opento the public. He can get a lot done with it closed and the weather is still warm. If I hear an more news about Deer Acres, I''ll post it here. The park is now for sale by a Texas owner and is also closed. It''s been years since my kids were small and they so enjoyed Deer Acres. It''s time now for us to take our Granddaughter on our way to Sand Lake. How much is admission for under 5 kids and for grandparents? What are your hours, I don''t want to be late. Hello, yes we are having the annual car show this season the date for that is Saturday July 12, 2009 So come by and enjoy. We are trying to update the website so in the future you can look to that for upcoming events and changes. Hi: Will you be having the annual car show this year ???? ?and if you are when is it? ?Thank YouLes Stamm. Will have new owners in the spring with extended hours, miniature golf, air soft gun area, carnival midway games and in the near future Go karts and bumper boats. 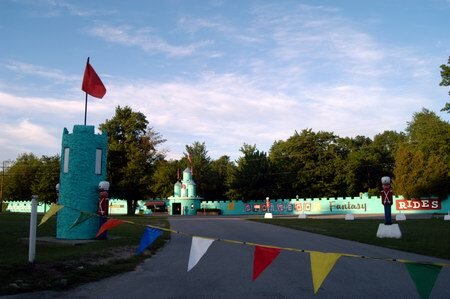 Just to inform everyone that the park has been sold to my family and we will be taking over in Feb of 2009 with longer hours, mini golf,soft air gun area, and carnival games. Our future plans are for go karts and bumper boats all while keeping a family orientated theme. The sign out front says Celebrating 50 years time to retire park for sale Has been up atleast 3 months that atleast could be longer. Can anyone tell me if there is any truth to a rumor i heard that Deer Acers is up for sale and may close if a buyer is not found. It''s a historic part of bay co. that would be a shame to loose. Im 40 and took my 6yr old daughter here and took identicle pictures in the same spots as when i was 6. It hasnt changed much. We always used to beg to go there when we came home from up north. I just visited the park with my 3 year old daughter. Great place for young children! We enjoyed the ferris wheel, antique cars and petting zoo. We went on a Saturday afternoon and found the park was not overly crowded, which made the experience that much better. I found the entire park area to be well kept and clean. Park employees were really nice and attentive. I only wish I had more time to spend there!. 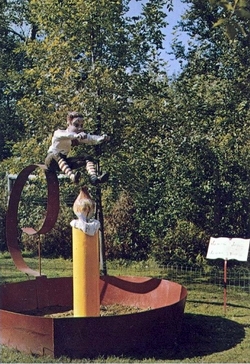 From a post card - Located on US-23 16 miles north of Bay City and 4 miles south of Pinconning. Michigans Newest Wildlife Park. Feed pet and photograph the deer. Also, many colorful exhibits in our block long Story Book Fantasy of living nursery ryhmes. Enjoy large wooded picnic area.